AIN'T NO PARTY LIKE A PIRATE PARTY! Founded in 2017, we are one of Seattle’s newest and most unique attractions! 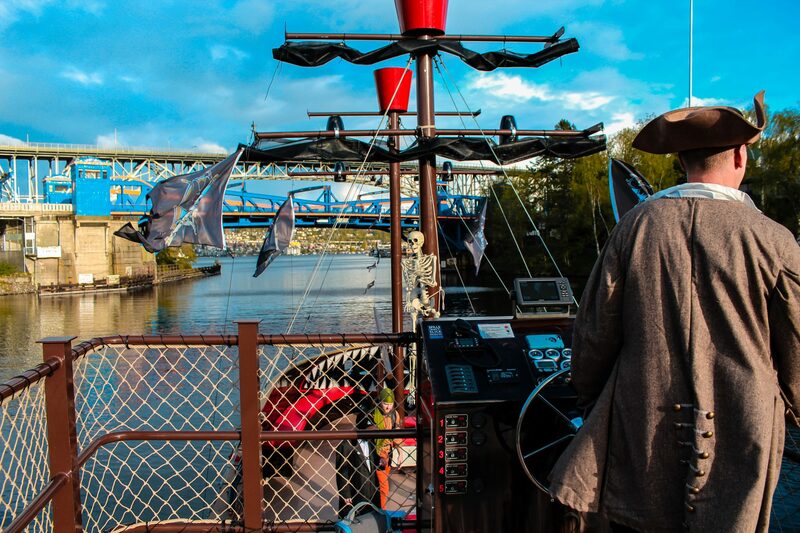 As Seattle’s only full-time pirate ship cruise we offer interactive pirate-themed boat tours in Seattle on the Lake Washington Ship Canal and Lake Union from April-October. Saturday 08/04/2018 & Sunday 08/05/2018 – No Available Family Treasure Cruises Due to SeaFair. 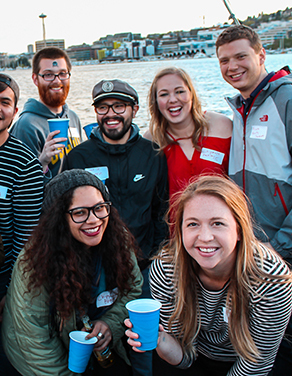 Celebrate birthdays and any other occasion on board Queen Anne’s Revenge! 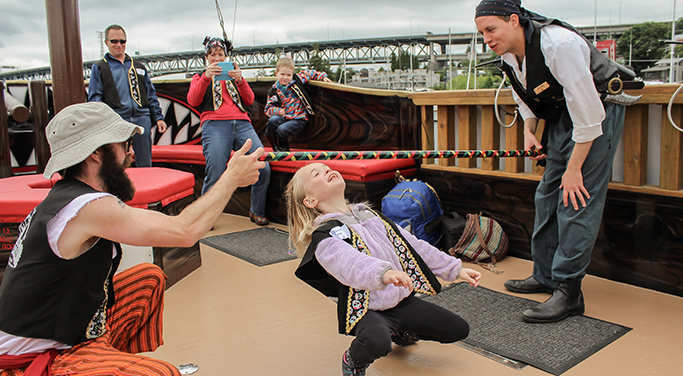 Private boat charters and boat rentals on Seattle’s only pirate cruise ship. 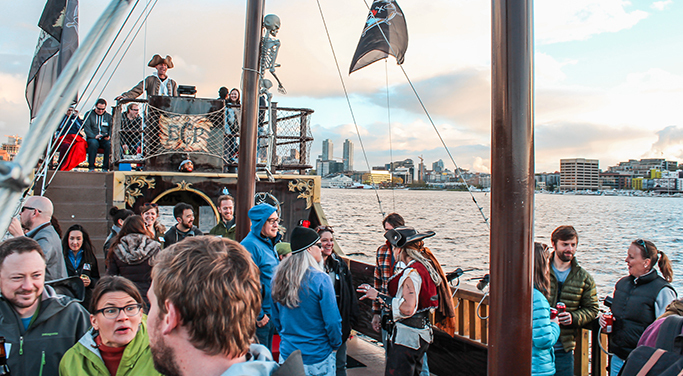 Emerald City Pirates gives companies an unique venue for office parties & team building activities. Emerald City Pirates is perfect for Birthdays or any special occasion! Arghh! Give the perfect pirate gift with an Emerald City Pirates gift certificate! 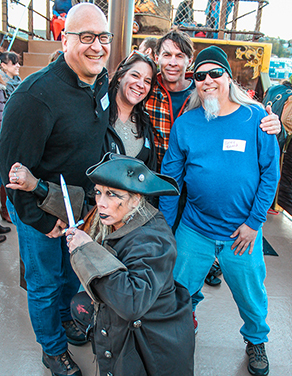 Check out pictures of the awesome pirate adventures on these here seven seas! Ready for an awesome Pirate adventure? Fill out the form and one of our Pirates will get back in touch with you shortly!